Dr. Horstein and Staff We would like to thank them after 30years at a different vet is was hard for me to have to look for a new vet. Found Dr Hornstein and they made us feel like family. So happy to find them my dogs are my kids. Dr. Hornstein and his staff at Monroe Animal Hospital deserve better than five stars. They are simply amazing. I have had pets for over 25 years, and I wish all of my children would have had the opportunity to work with Dr. Hornstein and everyone there. I have never experienced a vet that cares for others animals as if they were their own. Dr. Hornstein has amazing bedside manner, but even more important, he leaves no stone unturned with making sure his patients are properly taken care of, and receive the best treatment, period. I really wish I could give more than 5 stars. In all of my years of being a pet owner, or should I say a father, I have never experienced care given like Monroe Animal Hospital provides. If you are looking for a vet in Monroe, NJ, please stop reading my review right now, and call them!!!!! Your pet will thank you. The Monroe Animal Hospital is as good as it gets in veterinary care for our best friend. Dr. Hornstein is friendly, compassionate, and as up-to-date knowledgeable as a vet can be. His staff is also on top of the patient's needs and can answer many of your questions. He has saved our 12 1/2 year-old shih tzu several times. When Dr. Hornstein has diagnosed several critical issues, he has taken care of personally making arrangements with the big regional animal hospital. He has also saved the dog's teeth. Thanx!, Dr. Hornstein and staff, for taking such great care of our Sammy. This is hands down the best Vet I have ever been to. Dr. Hornstein is not only professional, but he truly cares for you and yours pets. We have a cat and a dog and he has been nothing but wonderful ever since we started seeing him and his staff. I can not say enough good things about this place. We have recommended him to all of our friends and will continue to do so. I had found a rabbit with very little knowledge or experience with these guys. Having other pets I have been to other vets but I decided to give this place a try. This was honestly the best decision I could have made. Dr. Hornstein and his staff are extremely kind and professional. The atmosphere was also clean and comfortable. Thinking the gender of my new rabbit was a male, we both discovered during my visit she is actually a female. Dr. Hornstein went out of his way to help me pick a name, from Zachary to Zara, and printed out reading material to help me with my new friend. Such a great experience and I highly recommend! We had five cats Hugz, Kissiz, Sapphire, Oliver and Sophie. We met Dr. Hornstein at Monroe's Oktoberfest a few years ago and feel in love with him. His professional and and personal way of working with our pets always gave us great comfort. He has been there when we had to put my cat Sophie and most recently my ladies cat Hugz to sleep. He has comforted us in some tough decisions. His staff is outstanding. Thank you for making a difference . Dr. Hornstein and his caring, professional staff take the stress out of our visits. We wouldn't go anywhere else. Their committment to their field is second to none. Always thorough and patient in explaining everything, from exams to shots to procedures. I would highly recommend you put your trust in them. Top quality care!! Doc Hornstein is, in my experience, the best vet my wife and I have found. They say animals sense a person?s intent intuitively, or perhaps by mental telepathy, or something of the sort. They pick up on it faster than humans do. Our ten-year old cairn terrier Liberty is a case in point. She first met Doc for a physical prior to a cleaning of her teeth, and was immediately comfortable in his presence. (She is a barker, and goes ballistic if she doesn?t feel at ease with her surroundings.) She was relaxed with him and also members of his cheerful staff who assisted. Although Doc claims to be only a middle-tech (not a high-tech) person, his hospital is digi tally networked with all kinds of diagnostic resources both within and outside the building. I had the feeling we could not be in more kind, caring, capable and safe hands. Comments: Quite simply put - THE BEST VET! He and his friendly staff are GREAT! He really care about our pets. Comments : Excellent vet. I came all the way from NY to have my rabbit spayed here since I was able to get it for a much better price. I purchased a certificate on the New Jersey House Rabbit Society website that covered the cost of spaying (not many vets except these) and ended up paying about half of the usual price (including checkup snd meds). The office staff is extremely friendly and helpful and Dr. Hornstein seems very professional and caring and did a great job with my rabbit. Comments : Dr. Hornstein is the absolute BEST!!!! I found him via the House Rabbit Society webpage after adopting a rabbit since I needed a vet who was experienced with rabbits. I figured that if I liked how he handled my rabbit, I would take my dog to him as well (rather than drive up to our old vet in Westfield). After our first visit I knew that he was THE vet for my fur babies! Dr. Hornstein is so kind, caring and patient. He takes the time to really explain everything to you and you can tell that he really loves what he does. I am so sad that I had to leave him after moving to California because I know that without a doubt I will never find a vet as good as him again. I should note that his staff is equally amazing. 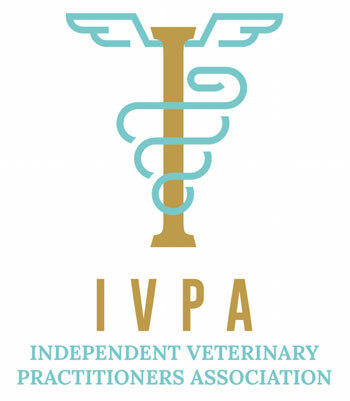 They are some of the friendliest people you will ever meet and they genuinely care about the animals they treat. I can't recommend Monroe Animal Hospital enough. They truly are the absolute BEST!!! Comments : About two weeks ago Dusty-Blue, my sealpoint Himalayan, and I moved to Monroe Township from northern NJ. It was a Wednesday. On Saturday during the wee hours of the morning, my Dusty started crying and writhing in pain. I was horrified especially because I had no idea where I was going to take him. Long story made short, turns out that Monroe Animal Hospital is very close by. I took Dusty to see Dr. Hornstein within a half hour of my calling there and actually speaking to the doctor. When I walked into the office I was greeted by the staff who had already been made aware we were on our way. Dusty was seen immediately by Dr, Hornstein who took charge, knowing exactly what had to be done to help my boy. We are continuing with the treatment plan for Dusty s osteoarthritis and spondylosis. It is two weeks later and Dusty is walking around more than he has done in the past few years. Dr. Hornstein stays thoroughly up to date on pain management and as a graduate of one of the most prestigious veterinary colleges, continues to stay educated in all arenas of vet medicine. What is very important to me as well is that Dr. Hornstein appreciates a knowledgeable pet parent and enjoys an open dialogue regarding the care of the animal. I truly feel that we lucked-out! I couldn t be more pleased (and even impressed) with the level of medical care that Dusty received. You just know that Dr. Hornstein and his entire staff truly care about you and your pet. There is a warm, friendly feeling that you get from everyone and they work exquisitely as a team. Comments : I recently moved to Monroe Township and needed to find a new vet and Dr. Hornstein was recommended by a neighbor. When I called for an appointment, I was greeted by a very friendly receptionist, so I knew I was off to a good start! When I met Dr. Hornstein I was immediately impressed with his Ã¢â‚¬Å“bedside mannerÃ¢â‚¬Â? in handling my 15 year young kitty, Samantha. His first concern was not to further stress her and he handled her very gently when removing her from her carrier. Dr. Hornstein is not only exceptionally competent but his approach to finding a solution to Sam's issue was to start Ã¢â‚¬Å“smallÃ¢â‚¬Â?. Sam's food allergies had gone misdiagnosed for many years and Dr. H zoomed in almost immediately and with a simple change of her diet, Sam is thriving! I cannot say enough about how happy I am that I found Dr. H and wanted to pass along my experience to anyone who may be looking for a forward-thinking, bright and very competent veterinarian. P.S. He's also a very nice person! Comments : To say that Dr. Hornstien & his staff are remarkable, would be an understatement. After several years of failed treatments for our cat Dusty, we found a cure with Dr. Hornstien. She is a happy, healthy cat again. Part two: we adopted a two year old terrier mix from a kill shelter a couple of months ago & the poor dog suffered from extreme separation anxiety. Crating left him a bloody mess...& given the run of the house while we were gone showed us what lengths this poor dog would go to not to be left alone. One phone call to Dr. Hornstien proved to be our salvation. He quickly prescribed meds, including pheromones (and yes they absolutely work) as well as behavior modification techniques & within days we found ourselves completely rethinking our options i.e. returning him...finding him a new home, etc... Parnel is now an integral member of our family. We owe a debt of gratitude to MAH for the kindness, compassion & competency we have been shown. THANK YOU. Comments : My cat Dusty was suffering from a skin ailment for the last 2 years that resulted in a large, oozing, lesion on her belly. After taking her to several different vets and trying a variety of medications and treatments, I began to lose hope that we would ever find a realistic and effective treatment. That was until we took her to see Dr. Hornstein. He was the only vet that listened to us and cared enough to find a treatment that worked. I can't tell you how many other vets just prescribed a medication over and over again even though I told them it was not working. Dr. Hornstein offered us several different treatment options, provided a realistic prognosis for each one, and eventually found a treatment that did the trick! For the first time in 2 years, my cat, Dusty, is not licking herself incessantly, and she no longer has a large wound on her belly. Dr. Hornstein has truly been a lifesaver my cat and myself. We can't thank him enough! Comments : As a large Siberian cat my owners felt I potentially had special needs but Dr. Hornstein & his wonderful staff have cared for me for years now as though I am their own kitty. They've skillfully guided us through my time as a kitten all the way into my current young adulthood with personal & professional TLC. 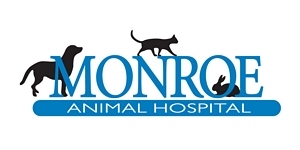 My family would highly recommend Monroe Animal Hospital to anyone looking for excellent care for their pet. On a side note - Dr. Hornstein has continued to display exceptional character by assisting my family with getting our littlest one to the car safely during torrential rain storm today after our routine appointment! Dr. Hornstein rocks! Comments : After several cold and impersonal visits with my last vet, I felt it was time to make a change. I was beginning to think they were all the same. Then I had to attend a BNI meeting for my employer (something I dont normally do) and, "surprise", one of the guest speakers was Dr. Hornstein. I am a firm believer that everything happens for a reason. As I listened to him speak that morning, I said "I found our new Vet!" I have owned several dogs over the years and met many vets...Never have I met a man so dedicated and caring! He is not only thorough, but calm and understanding, and the love for his profession shows! He, himself, calls with test results and takes the time to explain each and every detail of what is happening. The Animal world is lucky to have someone like him! Comments : I have never met a physician with the caring and diligence for his patients as I have continuously experienced with Dr. Hornstein and his capable staff. When I first arrived at Monroe Animal Hospital I was afforded a guided tour of the facility and was immensely impressed with the state of the art medical equipment necessary to treat and care for his patients. Both of our pets were subjected to in-depth surgical procedures and both my wife and I were confident of Dr. Hornstein's professional expertise. During the first few days of their respective recovery, Dr. Hornstein personally called my home several times a day to check the progress of his patients. He cares and is extremely dedicated to the care and well being of all animals. Both Anne and I are grateful to him. Comments : I recently contacted Monroe vet in a panic on a Saturday afternoon. After spending hours in the ER with my Shih Tzu who had a toxic reaction to a flea treatment. I called on them because my vet was closed, and I was very concerned with how she was still acting. Without being a patient, they took the time to see us. He immediately made me feel at ease. Told me that almost instantly what the problem was, contacted Poison Control, and spent an hour with us. I was very impressed with his service. Thank you Dr. Hornstein, Lucy is doing SO MUCH better! I did call poison control twice since Saturday evening, but tonight she is almost back to herself, even chased the cat a little! Comments : We had many vets, but there was something special about this one when Lady joined the ranks of pioneer clientele as the animal hospital first opened years ago. Over those years, Dr. Hornstein and his dedicated staff truly did a superb job extending the life of our beloved shelty Lady to a full, happy life of 12 years despite complications that haunted her health since she was a pup. This week, the time had come and my mother had to make the difficult, brave, and unselfish decision to let Lady go and finally end her suffering from kidney failure. I have never seen such sincerity and sensitivity from past vets as I did with Dr. Hornstein as he counseled the family up to and including the point at which we all had to say our final goodbyes to our little girl. Ending an animal's suffering in this manner, especially one considered part of the family, is never an easy decision to make let alone witnessing the passing of his/her life before your eyes. What we saw in Dr. Hornstein's office a few days ago was our Lady making the transition from extreme suffering to a painless sleep with gentle sedation. The entire staff, although surprised at the flash mob that packed Monroe Animal Hospital's parking lot, was patient and ever so caring as they let our mixed family of humans and one husky pour in last minute to say our final farewells to Lady. Dr. Hornstein did not rush us, but encouraged everyone to participate in this unforgettable farewell before he brought her to her humane and gentle final rest. Other vets would have tried to sell services that would have just drained her quality of life and our finances, but our doctor told us the painful truth about the so-called alternatives and would not allow us to prolong her excruciating pain any longer under his roof. This is one of those rare doctors who would choose to do the right thing- backed by science- over profit seeking motives and emotionally exploiting his patients. Most importantly, he along with his excellent staff treated us with the same care and compassion as they do with their furry patients. From the bottom of our hearts, thank you so much. Comments : Hello Dr. Hornstein, Carolyn, Shannon, & Dharmi, I want to thank all of you for your patience and kindness when my sun conure (Sunny) had a boo boo on her leg because of the leg band. What can i say, Dr. Hornstein, I think your the best and anyone that i meet along the way who has pets, i would definitely refer them to you. Thank you so much for everything! Comments : What a breath of fresh air it is to deal with Dr. Hornstein & his wonderful staff at Monroe Animal Hospital, after dealing with our former vet(s) of 20 plus years! Being new to the area, Dr. Hornstein and his staff were immediately helpful when called for our first emergency with one of our cats (after our move) and just last week with another emergency with one of our dogs. Heidi was seen soon after I called and scheduled for surgery the following Monday. She is doing beautifully thanks to Dr. Hornstein. And Thenk You, Doctor... for calling to find out how my husband's hospital visit went. That means alot!!! See you tomorrow for Heidi's follow-up. Comments : Dr. Hornstein and his staff are absolutely amazing. Unlike some of my other experiences with Vets in NJ, this one is state-of-the-art, clean, and above-board on every level. Every visit is extremely comprehensive. The Dr. takes time with you and your pet and explains every detail so you can make informed decisions. He lives and breathes his profession which is a rarity these days. I highly recommend! Comments : When I brought my rabbit Sam in to see Dr. Hornstein for the first time, I was surprised to find that I had been wrong for 7 years in believing Sam was a male. Upon informing me that Sam is actually a female, Dr. Hornstein recommended that I have her spayed urgently, due to the high incidence of uterine cancer in unspayed female rabbits. I quickly scheduled the surgery, and lo and behold, she had a malignant tumor on her uterus! Because the tumor was removed in time, the cancer had not spread, and now, a year later, Sam is a perfectly energetic, healthy rabbit. I am so thankful that I stumbled upon a veterinarian who is knowledgeable about rabbits and who is proactive about preventive care! Plus, the bedside manner of Dr. Hornstein as well as that of the vet techs is excellent... they completely understand how to calm down a very nervous rabbit (which, sadly, seems rare based on my experience at other animal hospitals). Comments : I must echo the accolades of other reviewers regarding Dr. Hornstein and his staff. Upon our first visit to Monroe Animal Hospital, Dr. Hornstein took us on a comprehensive guided tour of his facility, which is extremely neat, clean, and equipped with the latest in veterinary medical equipment and technology. Dr. Hornstein's knowledge of his profession is impressive, and he is eager to entertain and answer questions regarding our pets' medical treatments, dietary needs, and overall behavior in layman's terms. Follow-up phone calls from the doctor are a matter of routine which illustrate his concern for the welfare of his patients. Although his hospital is state-of-the-art, the overall atmosphere is that of the gentle caring and personal attention depicted in the "country doctor" paintings of Norman Rockwell. During a recent routine visit, a passing motorist stopped with a wild rabbit that had been struck by a car. Dr. Hornstein immediately began emergency procedures in order to stableize and treat this little patient. It was no one's pet, but it was an animal in need of care. Dr. Hornstein's staff, Carolyn, Dharmi, and Shannon, are always helpful, courteous, and professional. My wife and I enthusiastically endorse and recommend Dr. Steven Hornstein and the Monroe Animal Hospital. We seek the best of care for our 8-year-old Maltese, Molly, and 1-year-old ragdoll cat, Eliot, and we trust Dr. Hornstein and his staff to provide this very important service. One further note: It's worth a visit just to check out and admire the doctor's animal-themed "necktie-du-jour"! Comments : We had lost our beloved dog Samantha to a horrible sickness. I knew I would get another dog and I wanted to find a vet and his staff that I would feel confident and comfortable with. I interviewed Dr. Hornstein before we adopted our dog Skylar. Once we adopted her we started seeing Dr. Hornstein. He has been there for us everytime we needed him. He has been wonderful with Skylar and knows exactly what she needs when she is in need of a vet.He is very updated with all the newest knowledge and equipment. If I need him, he gets on the phone immediately if available or calls back asap. If office is closed you get his answering service and they contact him and you speak to him immediately. The office is very very clean and his staff is wonderful. I cannot say enough of how nice Carolyn, Dharmi and Shannon are. I am very happy that we found Dr. Hornstein. Comments : I recently moved to Monroe, and I'm extremely pleased with Monroe Animal Hospital. I highly recommend the practice. Dr. Hornstein is a great vet who cares about his patients and knows how to treat them; it's that simple. Best of all, he doesn't pretend to know everything, and will do research, consult with other vets, and refer his patients to specialists if he thinks that's best. It takes a confident, caring veterinarian to be able to admit he can't know everything about every specialty. That said, Dr. Hornstein is very knowledgeable, and it's apparent that he loves animals. That's very important to me. He's always available, and makes follow-up phone calls to make sure your pet is doing well. If you have to call when the practice is closed, the answering service simply takes your message and Dr. Hornstein calls you back; the service doesn't put you through a dozen questions to make sure you really need to speak to Dr. Hornstein before giving him the message. The staff is extremely helpful, kind, polite, and caring. My Italian Greyhound had to have an ultrasound (she was eventually diagnosed with colitis), and the receptionist kindly chatted with me because I was so nervous because I knew Sunny would be scared during the scan. The way the staff acts and treats customers tells me a lot about the doctors, because they always get the staff they want. I've found that when the staff is mean or unhelpful, the doctor wants it that way or doesn't care. Dr. Hornstein's staff is top-notch, and he obviously cares about the way his patients and their owners are treated. The office is very neat and clean, and there's no animal smell, which is hard to do in a vet's office, I think. You also get good records of what happened at each visit, which is very helpful in case you have to go to the emergency vet. All in all, a great practice. Comments : Would like to thank Dr Hornstein,his staff and his clients for supporting our cause over the Holidays. The donations were Heartwarming! Much appreciated! Thanks for the generosity! Comments : Just wanted to express my thanks to Dr. Hornstein and his staff for taking such great care of our furry family member, Buddy. It is true that our pets do have a sixth sense because Buddy seems to know he's safe and receiving the best of care. I even received a follow up call from Dr. Hornstein to check on Buddy's status. The township is very fortunate to have the Monroe Animal Hospital and Dr. Hornstein as part of the community. Comments : What a great place! Once you experience Dr. Hornstein's caring, compassionate, technical expertise combined with his friendly staff and his clean, modern facililty, you know you've come to the right place and you won't need to look any further for a great vet. I will be back! Comments : We can't thank Dr. Hornstein enough for his care and concern about Jenny, the June 2008 case of the month. Jenny is a 9 1/2 year old american spaniel. Without his diagnosis, Jenny wouldn't be with us today. She was discovered to have seriously elevated liver enzymes, despite having no outward symptoms. She underwent Gall Bladder surgery, and has recovered well and quickly. She is currently on a medical maintenance regimen. Her recent tests were just about normal, and she's back to herself in record time. Thanks, Dr. H! Monroe Animal Hospital Welcomes Your Feedback!